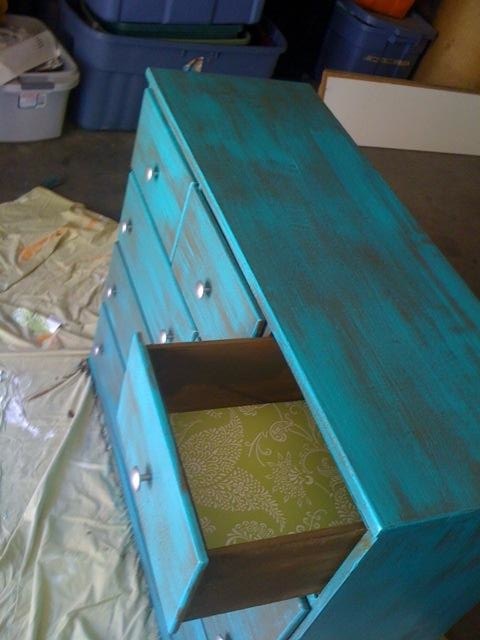 This is a story about an old dresser that needed a little TLC. As you can see from the picture below it needs some help. 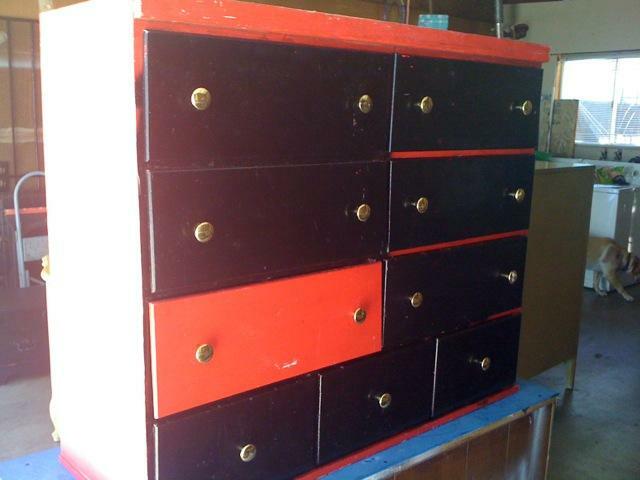 A few drawers needed some work done to them and the colors and writing had to go! 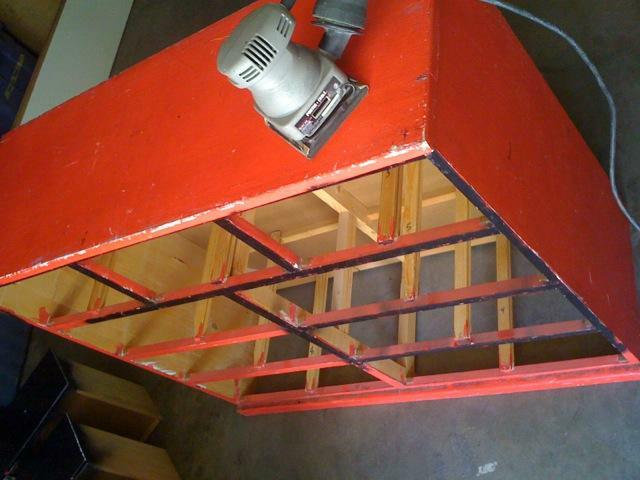 I started by taking all the drawers out to make it easier to sand and paint. You can leave the drawers in but if you do decide to take them out I would mark them with a number on the drawers and in the dresser (where it will not be visible) so the drawers fit perfect! I used a 150 grit sand paper and lightly sanded. 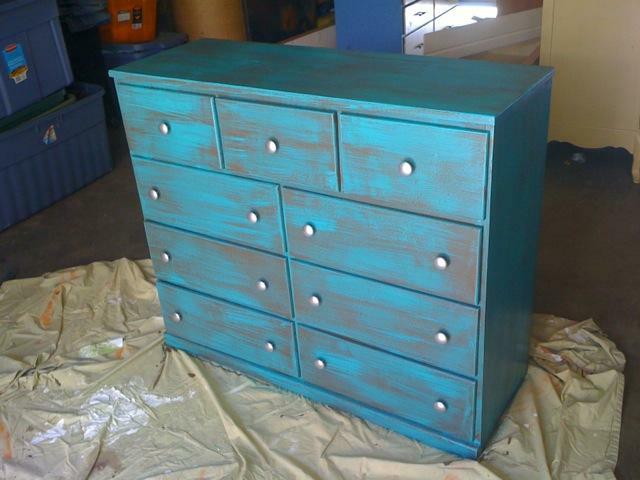 We wanted to try something different with this dresser so I had some leftover paint that I used in my house. 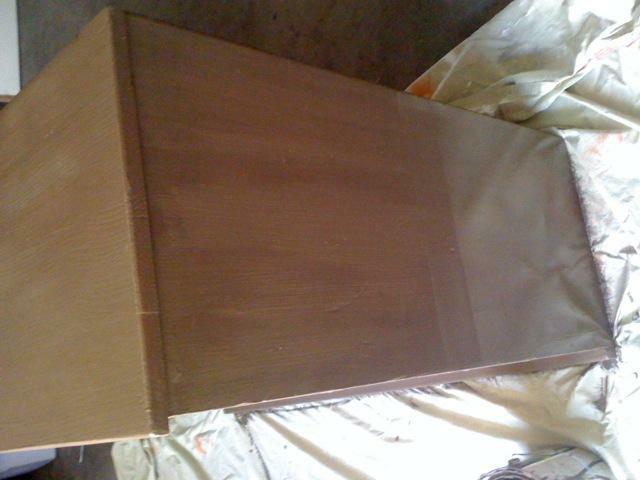 For the base we used a dark brown paint from Sherman Williams. When painting with the base coat make sure you get a good coverage. Once the base coat is dry you can start having fun! 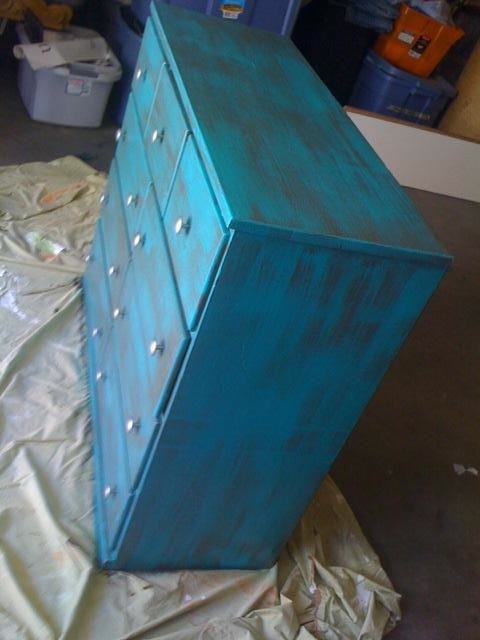 For the top coat we decided to go with a turquoise color (also left over from house paint). For this step all you need to do is put a little paint on your brush and lightly brush it on. You want the brown to show through. Your not done yet!!! We spray painted the knobs a metallic silver. All the knobs were in great shape but the color did not match. Well, spray paint helped with that and they look like brand new knobs. We also decided to line the drawers with fun contact paper to give it a clean look. All in all we think it turned out great! Old Stereo Cabniet.. What to do??? Chic Staging & Design specializes in finding old furniture and making it new again.